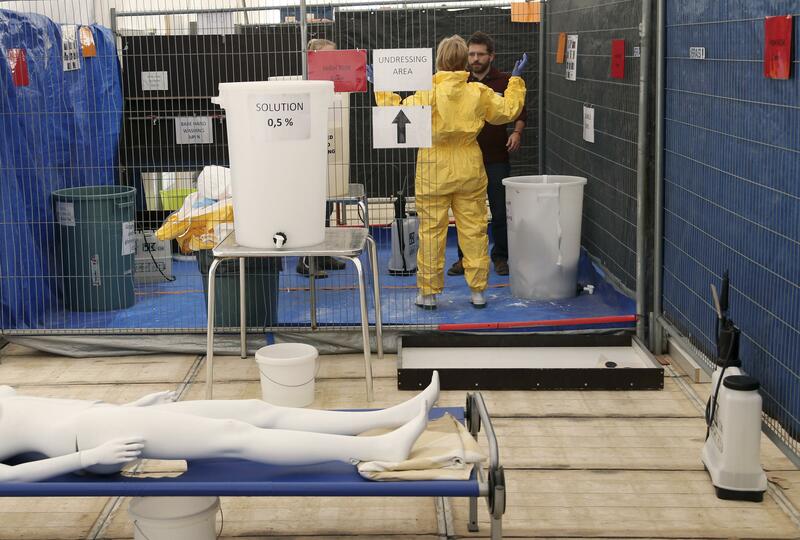 Ebola drug trials: Doctors Without Borders to test treatments. A Doctors Without Borders training session in Brussels. Oxford’s trial will test the antiviral drug brincidofovir in Liberia. France’s National Institute of Health and Medical Research will conduct a trial using the antiviral drug favipiravir in Gueckedou, Guinea, and the Antwerp Institute of Tropical Medicine will test convalescent whole blood and plasma therapy in Guinea. New York doctor and Ebola patient Craig Spencer was given brincidofovir, as was freelance cameraman Ashoka Mukpo, who was treated in Nebraska; both recovered. Dallas patient Thomas Eric Duncan also received the drug but still succumbed to the disease. A French nurse who was treated with favipiravir recovered successfully.